A destination wedding in Miami allows for gorgeous ceremonies that will never go out of style. 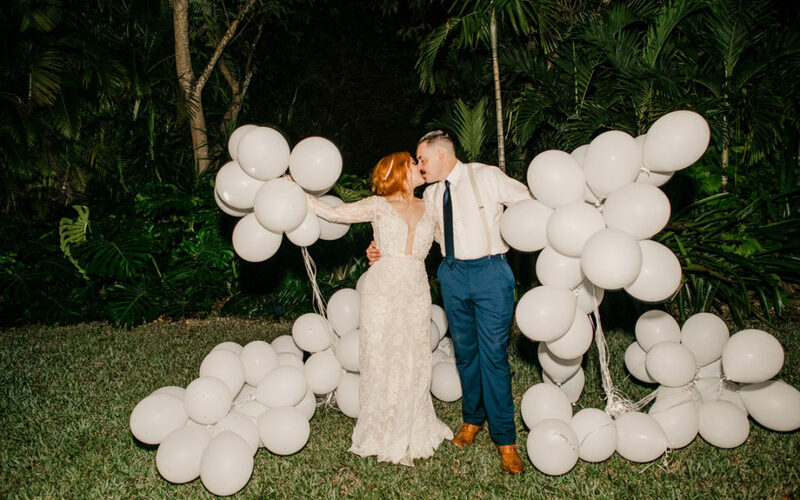 Whether it’s a sunny summer wedding or a romantic autumn environment, you’ll certainly find a wedding venue in the Miami area that suits your style. It will be an adventure you and your guests will remember for the rest of your lives. So what’s the secret when it comes to planning a spectacular destination wedding in Miami? We’ll tell you everything you need to know about the logistics of planning a destination wedding. Choosing a venue may be far more complicated than you think. It’s not just about the finding the most beautiful scene. You have to remember that guests will most likely have to pay for their own airfare and ask for time off from their jobs. So ask yourself if the travel expenses will be affordable for guests to fly to, as well as the nightly hotel options at different price levels. Depending on these variables, your guest list will probably drop down to family and close friends. Make sure that the event is affordable for those people that you really want to be there! Online pictures and videos can be extremely deceiving. It’s crucial that you travel yourself and take an in-person look at the venues, products, and services that you’ll be hiring. Remember that you and your guests will be traveling a long way so make sure it is worth the investment of time and money before you make a decision. There are many important things to take into account, such as the local currency, language, and even culture. At Inspired Events, we can assist set you up with our expert wedding planners to give you tours to the best venues for your destination wedding in Miami. Each trip you take to the venue location before the wedding will be extremely helpful. Whether it’s a site inspection and to choose the location or to do tastings, review the layouts and floor plans, or meet with vendors. In order to avoid making big mistakes, you must have a planner, who is experienced in destination weddings in Miami, helping you along the way. Professional insight will be well worth the money when it comes to making sure there are no hiccups before or during your event. They will be able to provide you with important information on costs, necessary resources, or help you find a venue that has the resources and experienced staff to make your dream celebration happen. A great planner, who takes care design and production, will make your life much easier and will help you avoid miscommunication or misunderstandings. Planning your Destination Wedding in Miami, while being far away from your planner, you’ll need to be in constant communication. We suggest video conference calls two to three times a week to check in and go over the details along the planning process. Since planning a wedding away from home is such a complex task, and takes usually around a year, you must maintain open communication with your planner for the team to be on the same page. Same way that you want a clear list of expenses, so do your guests! Especially with long-distance travel involved. Make sure to keep them informed about all the possible activities and expenses involved with their trip. The more you can tell your guests to help them prepare for your wedding, the better. If you have discounts at nearby hotels, or if you learn any tips to help them save on travel expenses, please do share! Keep them in the loop with all things related to their trip and they’ll surely appreciate it.